It's shopping time! Here's a roundup of Magic the Gathering related deals. Be sure to follow us on twitter and facebook for up-to-date deals information! Walgreens Buy-One-Get-One-Free on Magic products including boosters ($2 for a KTK booster). People have successfully price-matched at Walmart. You can also try for a rain-check if your Walgreens is out of stock. Amazon 30% off any book. Grab some Magic the Gathering comics or books! Troll and Toad: 15% off singles with coupon CYBER15. CheapCardSleeves: Up to 46% off sleeves. CardKingdom: Free shipping on domestic orders, 3 FREE packs of KTK on domestic orders over $199, discounted booster boxes. Indvidual sellers may be posting deals on ebay and amazon. Check out our Deal Finder for the latest deals. Duel Decks Anthology releases this week on December 5. 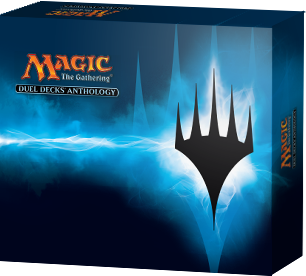 Check out our Duel Decks Anthology page for all eight decklists and their current values. The anthology is currently available for preorder on ebay for about $130. The Magic World Championships start this week on December 2nd. 24 of the world's top Magic players including 7 Pro Tour winners, 15 Grand Prix winners, 4 Players of the Year, and 5 Hall of Famers will duke it out in Vintage Masters draft, Khans of Tarkir draft, Modern and Standard. For more information, check out the Official 2014 Magic World Championship site. Remember, this is the event where they'll be generating packs of VMA and using actual pieces of Power from the collections of Wizards employees and friends to play paper magic. Ricardo published another Upgrading C14 article this week for the Green Guided by Nature deck. 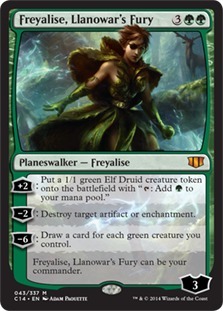 Check out Ricardo's Lands Matter theme and Elves Tribal upgrades: Upgrading C14 Green: Armageddon. @SaffronOlive revisits psychology in Magic with Cialdini's Weapons of Influence. @SaffronOlive discusses how psychology influences trading behavior. Be sure to get the most out of your next trade with these tips: Three Weapons of Influence in Magic Finance. MTGGoldfish received a makeover this week. We have a new layout that's optimized for mobile devices. Check out our MTGGoldfish Site Update: Mobile! post to see what's been happening on MTGGoldfish and the plans for the future. 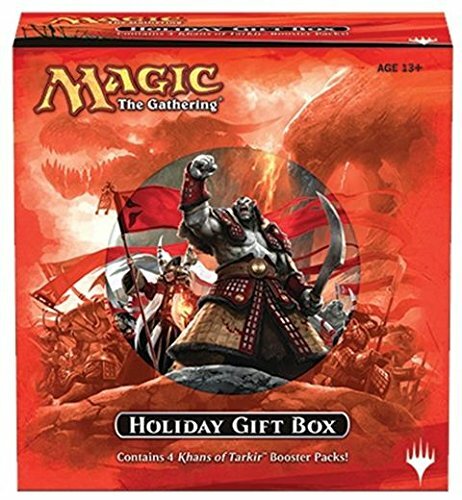 There's one week left in our Khans of Tarkir Holiday Gift Box Giveaway. Enter for your chance to curb that pack-cracking addiction!